Kidd, Chester B, 82, of Cranston passed away Wednesday, May 25, 2016 in Pennsylvania while on vacation. Born in Providence, a son of the late Floyd R.and Lena M. (Gendreau) Kidd. He lived in Cranston with his beloved wife of 61 years, Jean P. (Berry) Kidd. Mr. Kidd served in the U.S. Air Force. He was Air Force Police and a Marksman stationed in England, during the Korean Conflict. Mr. Kidd was a self employed truck driver for many years as well as a truck driver for the Navy Exchange until retirement. 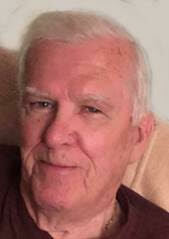 Besides his wife he leaves 2 sons; Steven (Maria) Kidd, Ronald (Vivian) Kidd, 5 daughters; Cheryl Hebert, Charlene (Virgil) Teja, Maureen (Don) Coutu, Jennifer Kidd and Lisa Stenmark, 2 brothers; Richard and Raymond Kidd, 1 sister, Joyce Corley-Jackson, 23 grandchildren and 13 great grandchildren. He was the father of the late Chester Kidd, Jr, and Lynne Kidd; and brother of Floyd, Donald, John and Robert Kidd. His life will be celebrated with calling hours Wednesday from 4-7 pmin the Stapleton Family Funeral Home, 684 Park Avenue, Cranston. Funeral will beThursdayat8:30 amfrom the funeral home with a Mass of Christian Burial at10:00 amin Sts. John and Paul Church, 341 South Main Street, Coventry.Burial with Military Honors will be at St. Joseph Cemetery, West Greenwich. In lieu of flowers, donations in his memory may be made to St. Jude Children's Research Hospital, 501 St. Jude Pl., Memphis, TN 38105-1905.